If there’s a Doomsday Clock for mankind being annihilated by violent robots, it just moved a lot closer to midnight thanks to a wildly dangerous decision from Google. 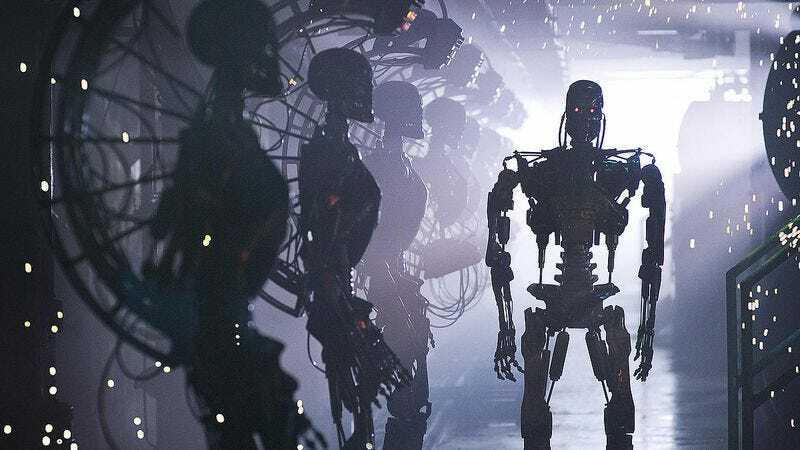 As reported by Popular Science (via Gizmodo), the internet behemoth has just killed the Captcha service as we know it, opening the door for countless machines to post on our human message boards, buy from our human online retailers, and assassinate our human world leaders. Alright, that could be a little overly dramatic, but the common internet thing where you have to read the weird-looking words and then type them into a box to prove you’re not a robot will soon be going away. In its place will be a new thing called “Invisible Captcha” that simply analyzes your “browsing behavior” to make sure you do more than just look up images of mainframes, wires, and human world leaders. That means it will work like a more elaborate version of the “I’m not a robot” checkboxes that a lot of websites use these days, which make sure that the way you click the box is consistent with beings who have a soul. Basically, the Invisible Captcha will be done automatically, making your internet experience a bit more streamlined and convenient than it used to be (assuming you’re a human or particularly tech-savvy animal, of course). The new service launched last week, so you should start seeing—or not seeing it—as soon as more sites start picking it up.